This is a small project I made last summer. 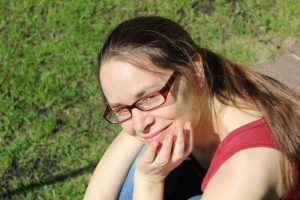 I am in great need of simple T-shirts, and I have a good fitting pattern (the ITS Idyllwild), but I was reluctant to start. 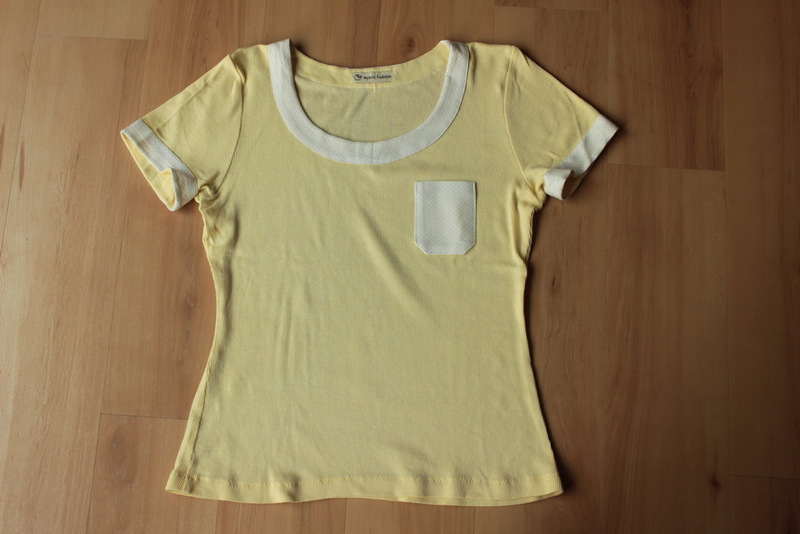 Plain simple T-shirts are a bit boring. 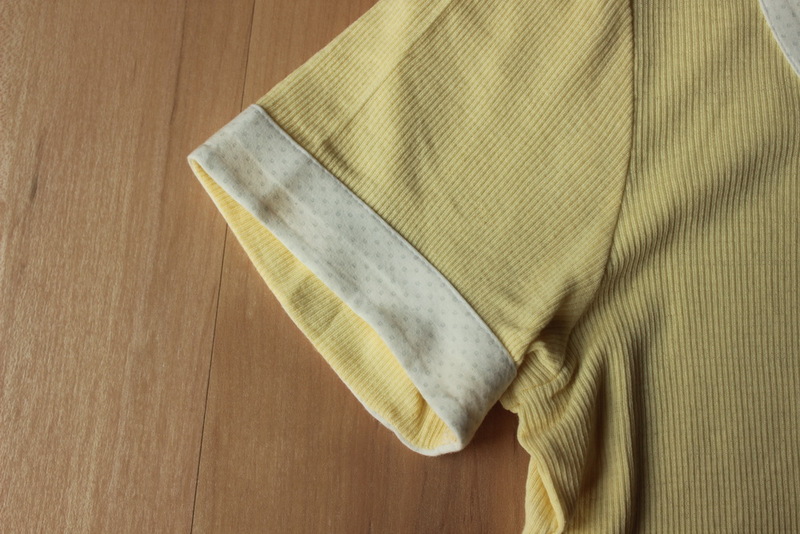 So when I read a review of the book “Alles Jersey” I was intrigued because the book gives examples how to add special details to a simple T-Shirt. I bought the book and made the shirt “Bergen”. 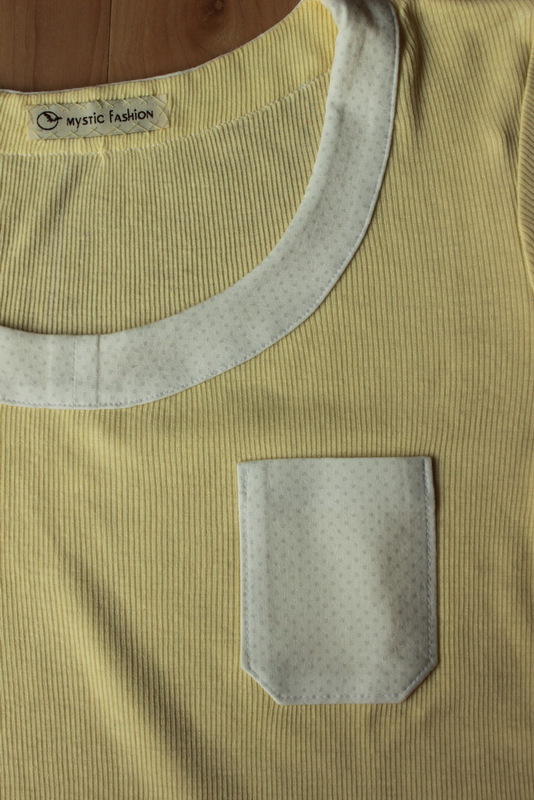 “Bergen” features facings at the neckline and sleeves and also a little pocket. The book comes with a shirt pattern too, but compared to the Idylwilld it looked quite different, so I used the Idyllwild as a starting point. 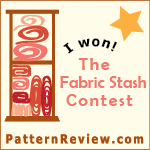 I was not in the mood of fitting a T-shirt pattern. 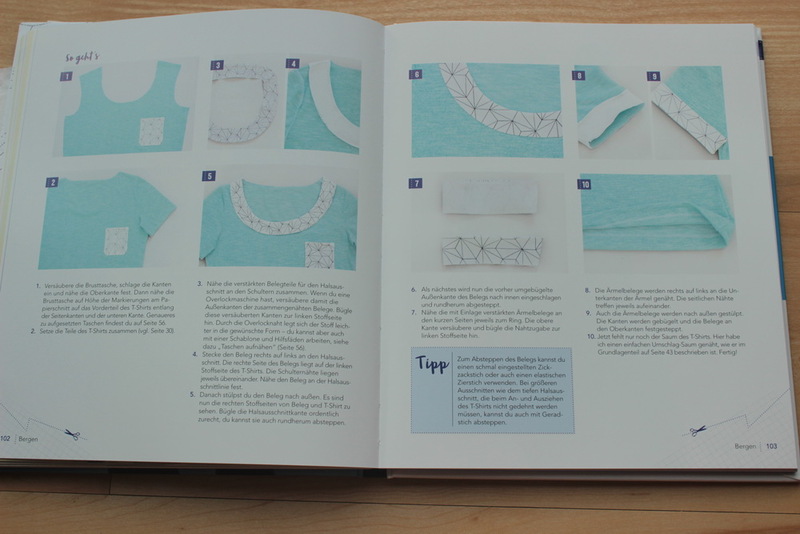 The book has like most of these new sewing books appealing pictures and is an eye candy to flip through. 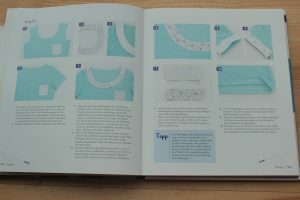 It has a general section about sewing with knits and in the second part are the projects. As I just wanted to try if I liked the style I used some old rib knit I had in my stash that is a very bad quality. It stretches already when you look at it and it has no recovery. This is really a pity as I love how it turned out, especially the color combination. 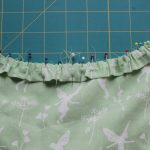 In the picture below you can see that I used scraps for the facings too, that’s why there is a center front seam. Usually you would cut the facing on fold. It was a fun project and I plan to make more from this book. Let me know when you made some!